Фирма "de Havilland Aircraft of Canada Ltd", также известная как DHC или "de Havilland Canada", была создана в марте 1928 года для сборки, технического обслуживания и ремонта импортированных самолетов британской ДальшеMore>>> компании "de Havilland". К концу Второй мировой войны "de Havilland Canada" приступила к проектированию собственных машин. Первым появился DHC-1 Chipmunk, разработанный под управлением В. Якимука для замены биплана DH.82 Tiger Moth. 22 мая 1946 года прототип DHC-1 впервые взлетел в Даунсвью, Торонто. Это был двухместный моноплан с работающей обшивкой и перевернутым рядным мотором de Havilland Gipsy Major 1С мощностью 145 л.с. (108 кВт). По соглашению между фирмой "de Havilland" и португальской "General Aeronautical Material Workshops" (OGMA) для ВВС Португалии с 1955 года были собраны 60 Chipmunk по лицензии. Эти самолеты также применялись в авиации Бирмы, Цейлона, Чили, Колумбии, Дании, Египта, Ирака, Ирландии, Иордании, Ливана, Малайи, Саудовской Аравии, Сирии, Таиланда и Уругвая. Несколько таких машин летают до сих пор. Получив несколько самолетов Chipmunk с завода фирмы в Хэтфилде, Португалия приступила к лицензионной сборке этих машин. Пара Chipmunk T.Mk 10 демонстрирует схему окраски этих машин, принятую в последние годы его службы в британских ВВС. 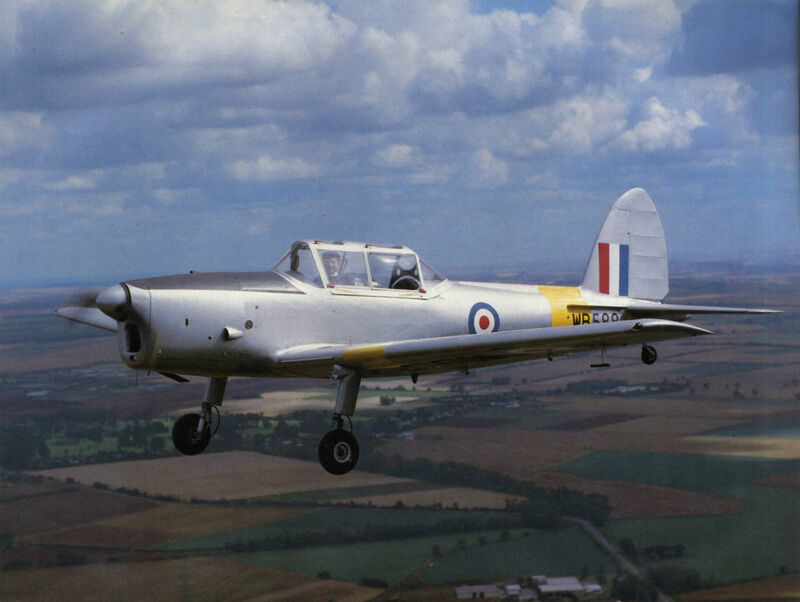 The Shuttleworth Collection's Chipmunk 22 WB588/G-AOTD photographed in the vicinity of Old Warden in August 1985. 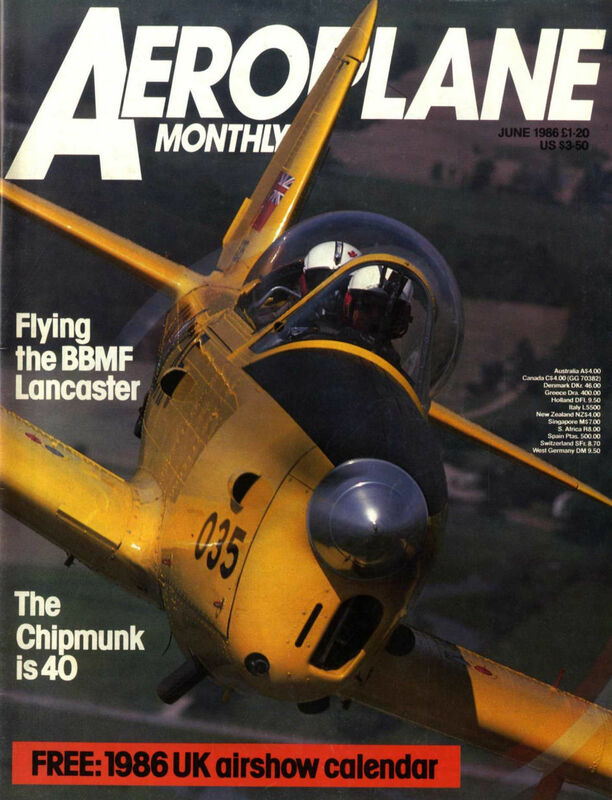 The Canadian Warplane Heritage's Chipmunk, photographed in June 1985. 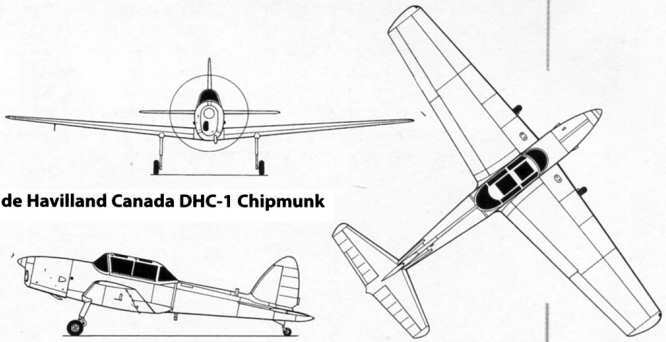 Illustrated is the prototype of the Chipmunk, the first wholly-new design from de Havillands' Canadian associate, which first flew on 22 May 1946. 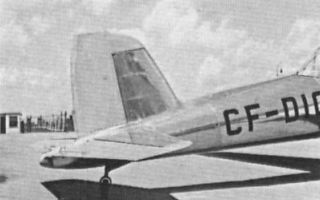 From the Chipmunk, de Havilland Canada has gone on to produce a succession of successful designs, culminating in the Dash 8. 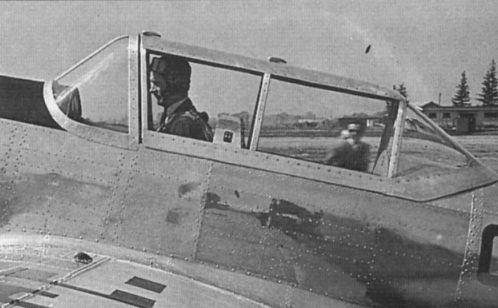 The author climbs into the Chipmunk prototype before making the maiden flight. 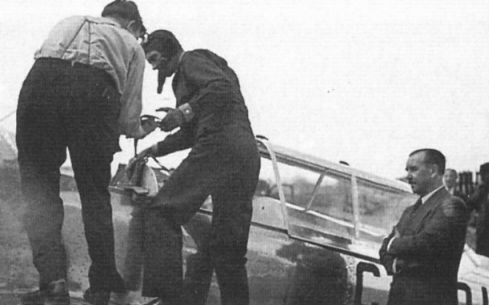 W. J. Jakimiuk, the aircraft's designer, stands at right. The author ready to taxy away for the first flight. 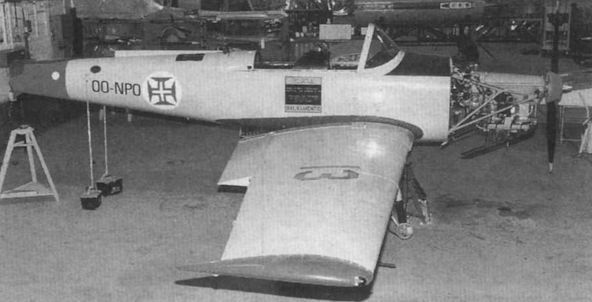 The Chipmunk’s elegant lines are particularly evident in this photograph of the prototype. The author, assisted by a couple of wing-men, taxying out for the first flight, on May 22, 1946. 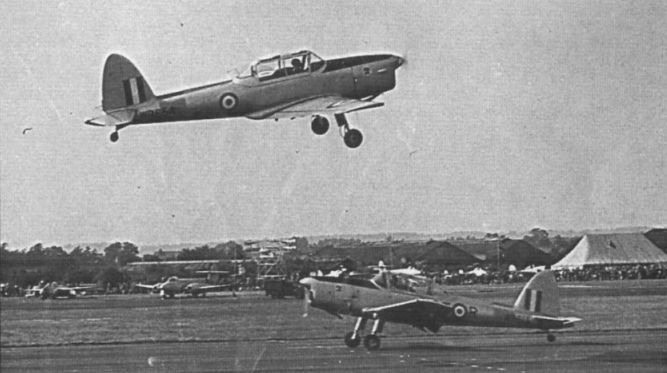 The photograph of the prototype DHC-1 Chipmunk, taken on an early test flight. 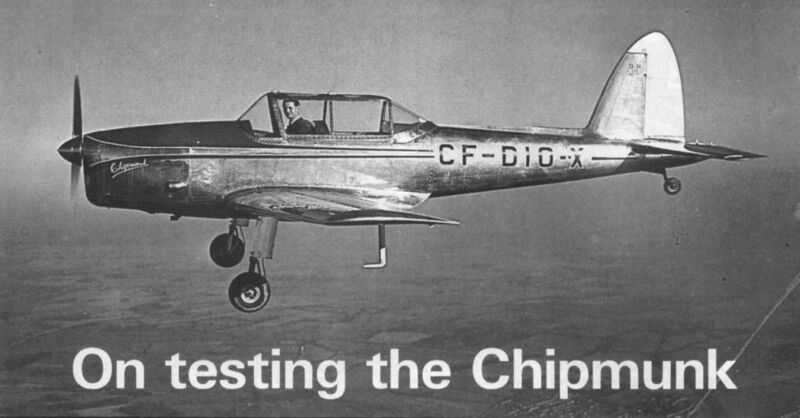 The author flying the prototype DHC-1 Chipmunk in its final form. 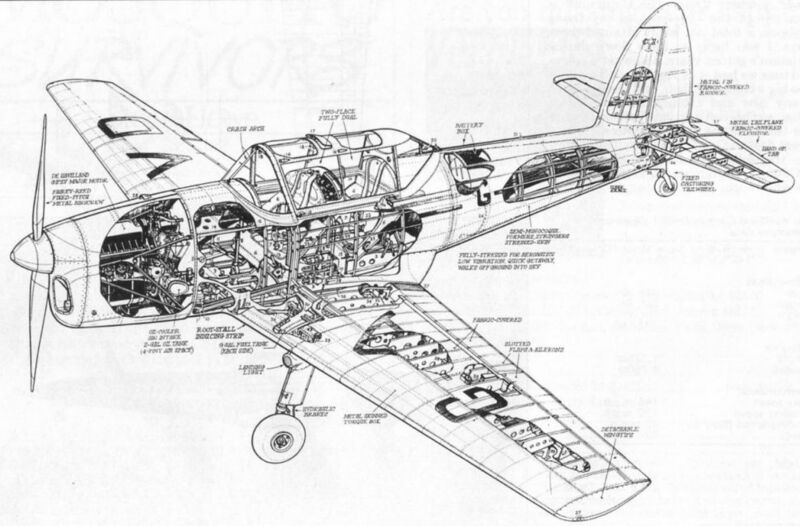 The main external differences are the addition of a large pitot tube beneath the port wing and streamlining to the undercarriage legs. 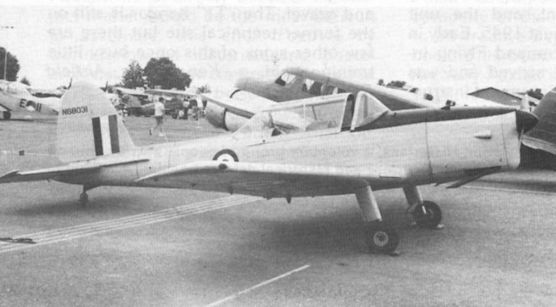 EXPERIMENTAL RUDDER on the prototype de Havilland (Canada) DHC-1 Chipmunk two-seat primary was one of three/four shapes tried before the final curved line, familiar today, was adopted. 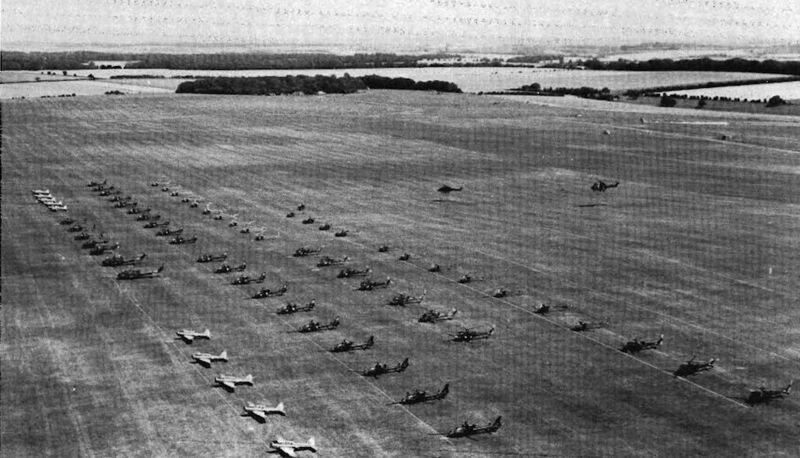 This photograph was taken at the Toronto factory about a month after the first flight in May 1946. The prototype fitted with a reduced-area rudder. 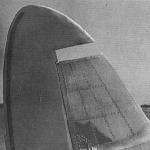 Makeshift modification to reduce the fin area of the prototype Chipmunk. The classic instructor and pupil act, performed by two Chipmunks landing in opposite directions. 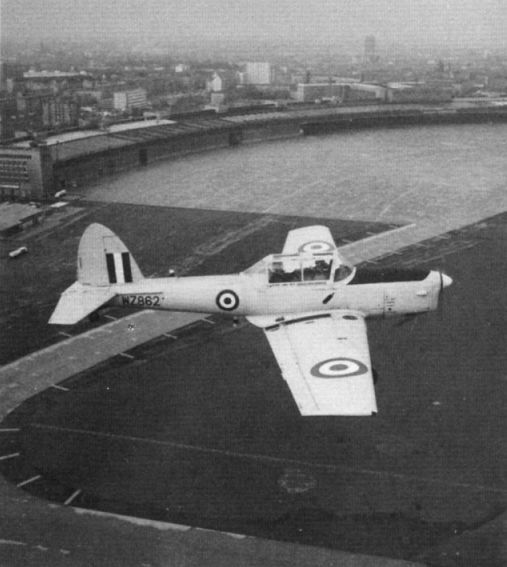 The tenth Canadian-built Chipmunk, shipped to England and registered G-AJVD, was evaluated by the A&AEE during 1948. 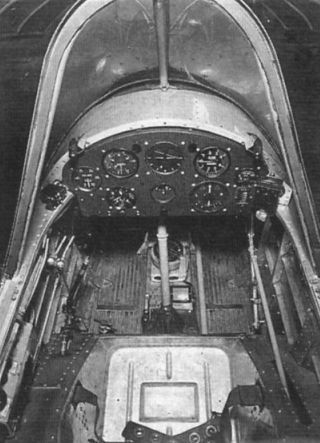 Its finish was natural polished Alclad; the fuselage decking and flash, registration letters etc were green outlined with white. 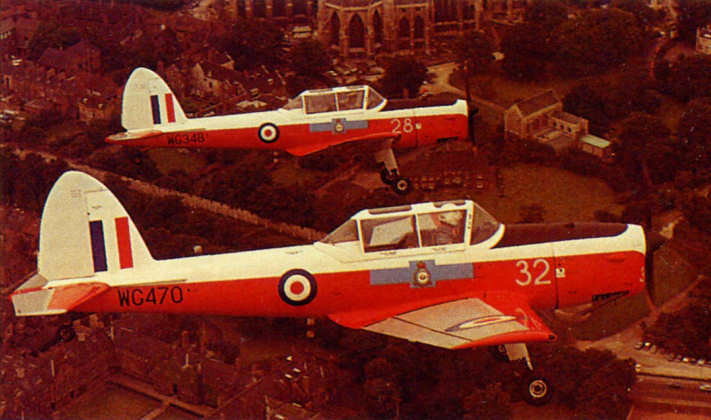 Chipmunk T.10 (WP972) display the new Army Air Corps markings. 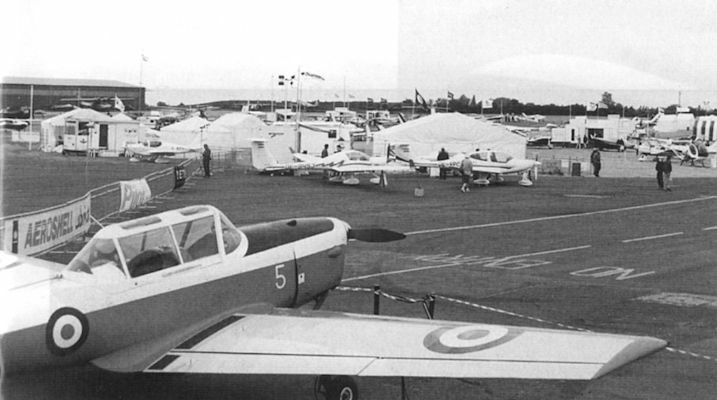 Part of the North Weald Aerofair, much of which took place under leaden skies, with a DH Chipmunk in the foreground. 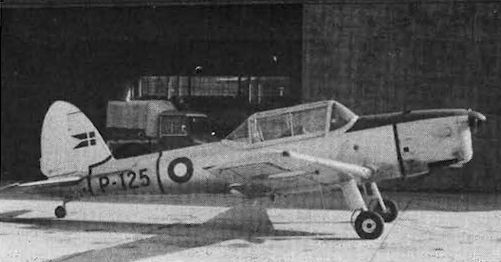 One of the D.H. Canada Chipmunk T.20s which served the R. Danish A.F. for almost a quarter-century, P-125, c/n. C1/0104, delivered June 1950, has since been withdrawn. 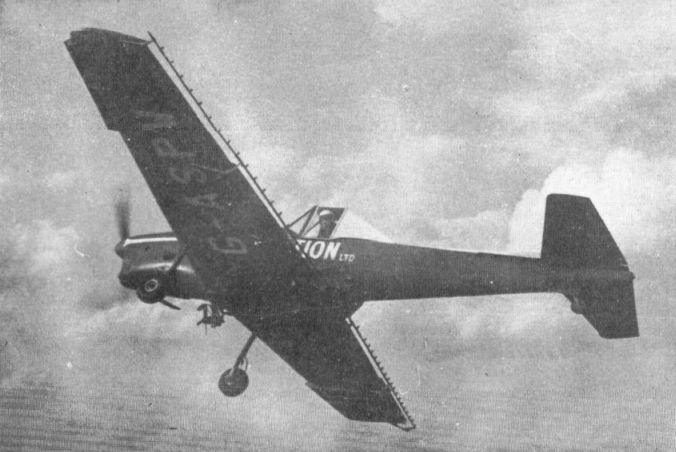 Rarely illustrated are aircraft of the R.Ceylon A.F. 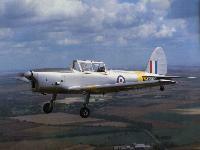 - in this case, CT-10B is a de Havilland Chipmunk T.Mk.21 trainer. EI-AHT was one of several Chipmunks which left Speke for Dublin last July. With EI-AHP it has returned to this country as related in "Airport News", and may even be a candidate for British registration in the near future. 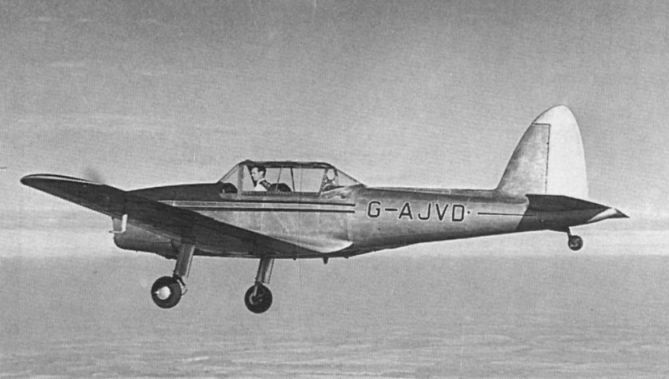 The unique U.S.-registered Chipmunk, N9867F was delivered to owner Sam Pratt in Dublin 9/7/56, but is now owned by W. S. Shackleton Ltd., at Kidlington. The former Portuguese Air Force Chipmunk Mk20 OO-NPO (Ex No 1372) was donated by the Portuguese MoD to the NATO Aero Club in Brussels, and delivered by C-130 two years ago. It is seen here at Airwork undergoing a check. 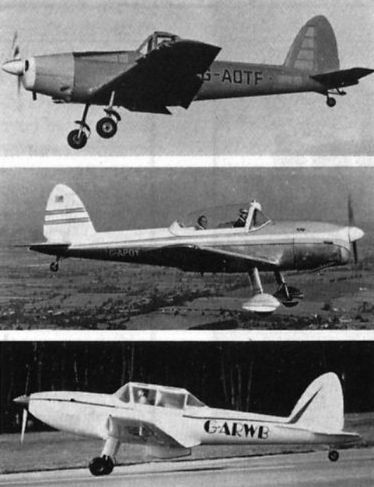 The Chipmunk has also been the subject of numerous modifications, some of which are illustrated: (top to bottom) the single-seat Mk 23 ag-plane. the "Masefield" variant with blown canopy and wheel spats and a test-bed for the Bonner Super Sapphire V6 engine. 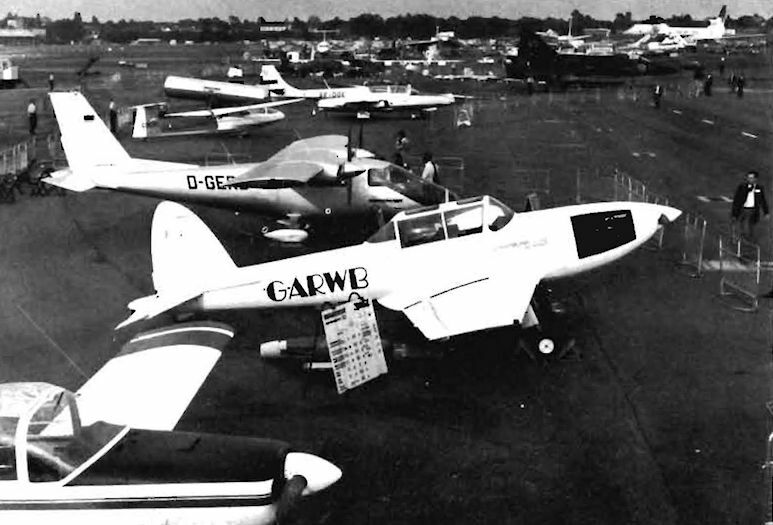 Prominent in this gathering is Aero Bonner Chipmunk G-ARWB, which is a testbed for Mr. H. W. Bonner's 200-h.p Super Sapphire engine. Behind are Partenavia P.68 Observer D-GERD, TS-11 Iskra SP-DOE, camouflaged SAAB SF 37 Viggen 37907/"45" with recce, cameras ... and many other "goodies"
The view from the Chipmunk's cockpit was excellent in most directions. 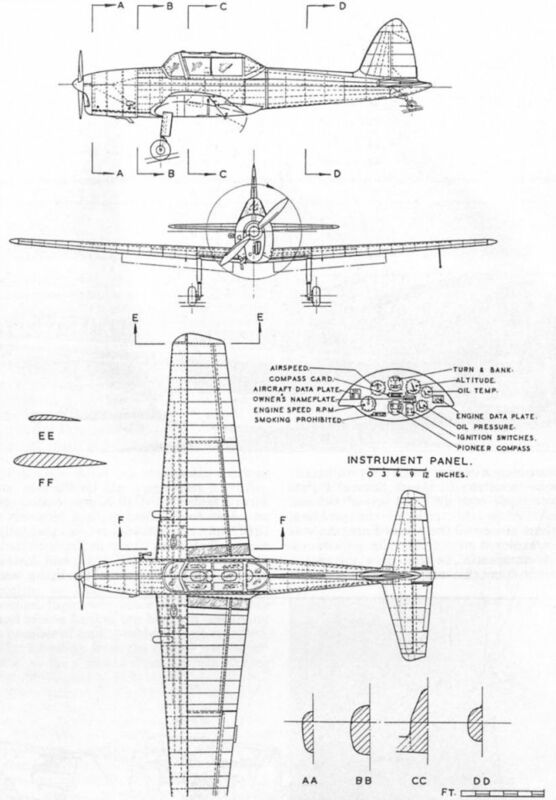 The three-view drawing was prepared for Aeromodeller by the late E. J. Riding in May 1948. Our thanks to Aeromodeller for allowing us to republish it.